In-car technology is becoming increasingly intelligent, and it doesn’t get smarter than BMW iDrive. Exclusive to the German brand, iDrive is a highly advanced infotainment system which is now fitted as standard in all BMW cars. It was carefully designed by the manufacturer to give drivers full control over various settings in the vehicle, without the task of changing the settings becoming a distraction. iDrive systems have a display screen located on the dashboard. They are operated with a control dial and buttons on the centre console next to the gear stick. You can even opt for an optional touchpad, which enables you to write using your fingers (of course, this is more of a benefit for the left-handed and ambidextrous). 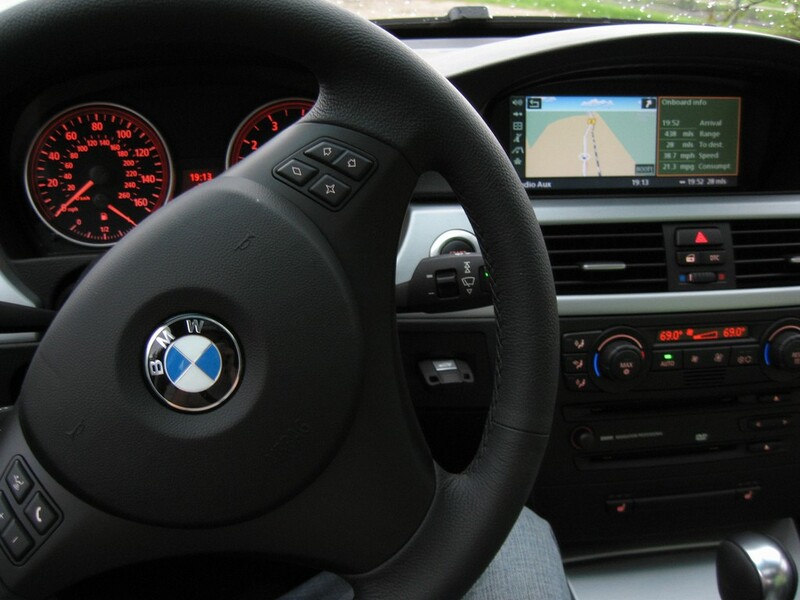 At a basic level, BMW iDrive offers a CD player, Bluetooth connectivity, a USB port, sat nav and voice recognition, but the upgraded system is where this infotainment system gets really special. You can increase the size of the display, enable traffic updates on your sat nav, add a 12GB hard drive and even a second screen. Larger models ae already equipped with these features but they can be added to other BMWs for a reasonable sum. The 2 Series, 3 Series, 4 Series, 6 Series, 7 Series, X3, X4, X5 and X6 models come with iDrive featuring Apple CarPlay, although one downside is that no BMW cars support Android’s alternative yet. Another advanced feature is the iDrive function that allows you to switch between cameras if you have a BMW model equipped with 360-degree vision, and also zoom in and out using the iDrive controls. It may sound like a lot to wrap your head around, but once you have familiarised yourself with the system, it is very easy to use and really does enhance the driving experience. Take a look at the used BMW cars we have in stock at Wavertree Car Centre in our online showroom.